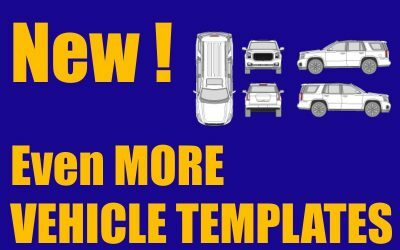 We’re always adding new vehicle templates to our collection & here’s more! We’ve just adding theSSANGYONG Rodius 200, SUBARU XV 2012, BMW 2er Active Tourer 2018, SCION iM 2016, TOYOTA Camry 2007, TOYOTA Highlander 2013 and the NISSAN NT400 Cabstar 2014. Check them out! To search all available templates, please visit our Search/Download page.